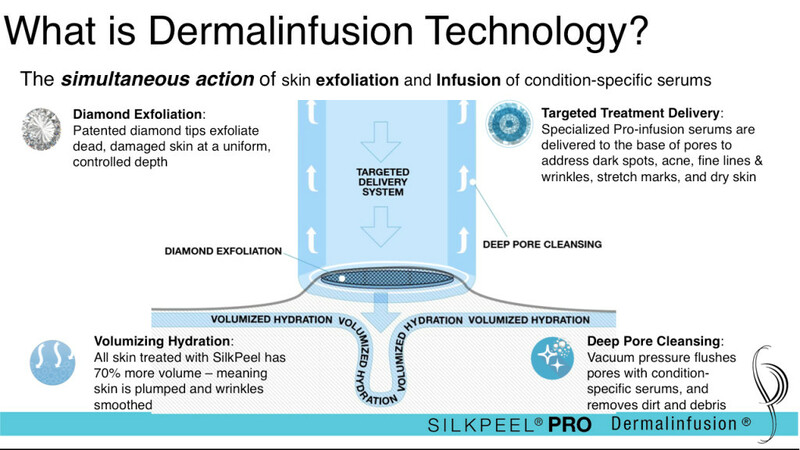 SilkPeel Dermal Infusion is a breakthrough aesthetic technology that uses a diamond tipped microdermabrasion handpiece to exfoliate the skin while simultaneously infusing a solution into the epidermis to address your skin care concerns (whether it be sun/environmental damage, dehydration, dull skin, oily/acne prone skin, acne scars or hyperpigmentation). SilkPeel instantly smoothes skin, refines skin texture and leaves the skin with a nice healthy glow after treatment. The SilkPeel diamond treatment head handpiece removes the top-most portion of the epidermis called the stratum corneum. No other device uses true Dermalinfusion technology. 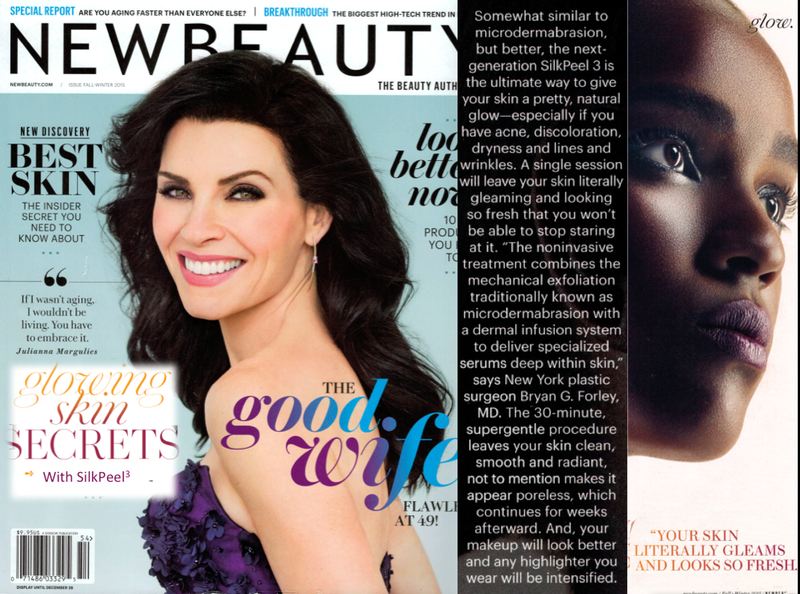 It’s an exclusive SilkPeel patent! Ultra Hydrating Solution for dry skin, fine lines and wrinkles. Lumixyl Solution for hyperpigentation and sun damage. Vitamin C Solution for sun damages and evironmentally damaged skin. Pore Clarifying Solution for acne and blemishes.